2 weeks in North India – Rajasthan, New Delhi, Ladakh, Varnasi, etc. I just got back from my Costa Rican adventure. I arrived on Wednesday night in San Jose. I flew early in morning to Corcovado National Park (Thursday, Friday) for 2 days, 1 day in Arenal (Saturday) , 1 day in Monteverde (Sunday) and then headed back to San Jose for my flight to New York. Two days should be the minimum for this park. I say this mainly because you have 23km hike from Los Patos to La Sirena and/or 20 km hike from La Sirena to Carate. If you hike 43 km in 2 days, you want to get your money’s worth. In my two days, I saw a lot of wildlife. 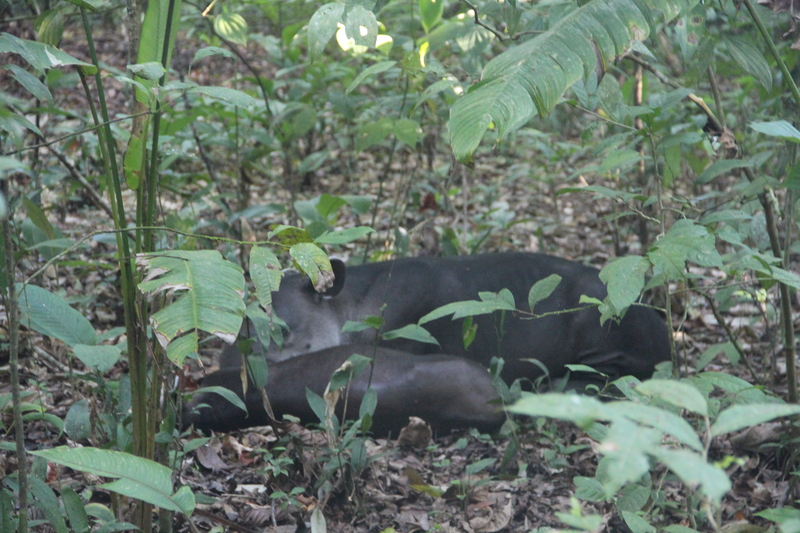 In fact, most of these animals I saw in my second day around La Sirena and walk to Carate. 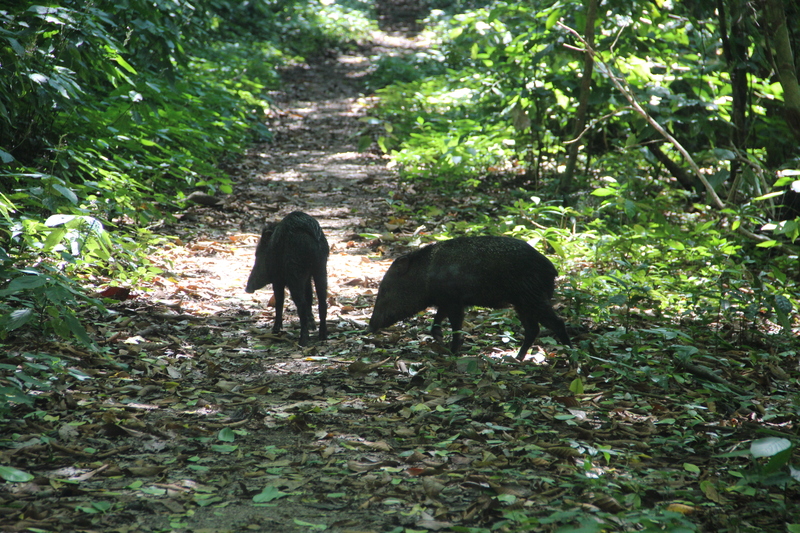 According to my guide, you do not see many animals from Los Patos to La Sirena. I still liked doing the two different legs for the diversity, but I would stick to the leg along beach if only goal is wildlife. 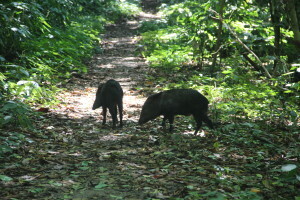 If one of your primary goals is to see wildlife in Costa Rica, this is a MUST SEE. 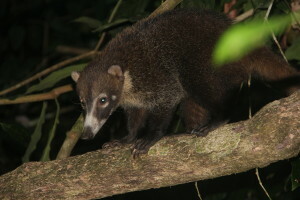 Do not expect to see much wildlife in Monteverde/Arenal. 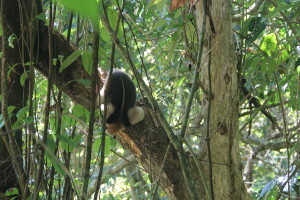 If I stayed another day in La Sirena, I am fairly confident that I would have seen the other two kinds of monkey: white face capuchin and squirrel monkey. According to my guide again, most Europeans do the hikes where most Americans stay in Drake Bay and take boat back and forth to La Sirena. Couple of other tips: The odds are whatever you carry with you will get wet. You should carry the least amount with you as possible because after 23km even a couple pounds can feel heavy. The hike on the beach is mostly in the shade but there are a couple of stretches where the sun will just beat on you. These are the only times that you need sun block. The bugs aren’t horrible, but I would bring repellant. I was in Arenal for 1 day where I did a hike to the volcano observatory and went to Tabacon hot springs with a buffet dinner. I paid $140 on anywherecostarica.com, but I heard other people got some better deals. Many of the people in my group came on this hike with the goal of seeing animals. We were extremely lucky and saw an anteater, but this was only the second time in three years that the guide saw them. Outside of the anteater, we saw a snake and a couple of birds. As mentioned earlier, I would not come here expecting to see tons of animals. With that said, the view of the volcano from the observatory was amazing. The volcano is NOT ACTIVE. YOU WILL NOT SEE LAVA. You will see a little steam. As for Tabacon, it is extremely nice, but it is very expensive. The springs were not too crowded, and it is more natural than the other hot springs. I believe you can visit other places for like half price. All the other activities (horse back riding, rafting, night walks, zip lining) in my opinion can be done at other locations. I think you are fine if you only spend a day here. I would rather use the time in the other locations. In Monteverde, I did the sky trek/sky tram/sky walk. It was a lot of fun and definely one of the highlights. The sky walk was a nice way to see the cloud forest, which is different than the rainforest that I saw at the other two locations. Ziplining was amazing, and it was quite a rush. You had to do the sky tram if you wanted to do the Ziplining. There is another company called Aventura that also has great reviews. While I think the zip lining is probably better here, Aventura allows you to do a Tarzan swing as well as go down zip line in superman position. If you really want that experience, I would suggest going with them. If I had extra day, I might have toured the actual Monteverde park, but I felt like I got taste of it on the sky walk. 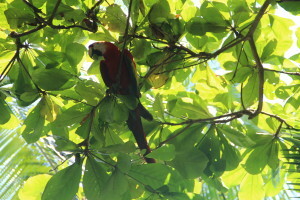 As in Arenal, the activities are largely the same with horseback rising, rafting, etc. If I had my choice, I would pick Monteverde over Arenal. On a clear day, you can see volcano from Monteverde. 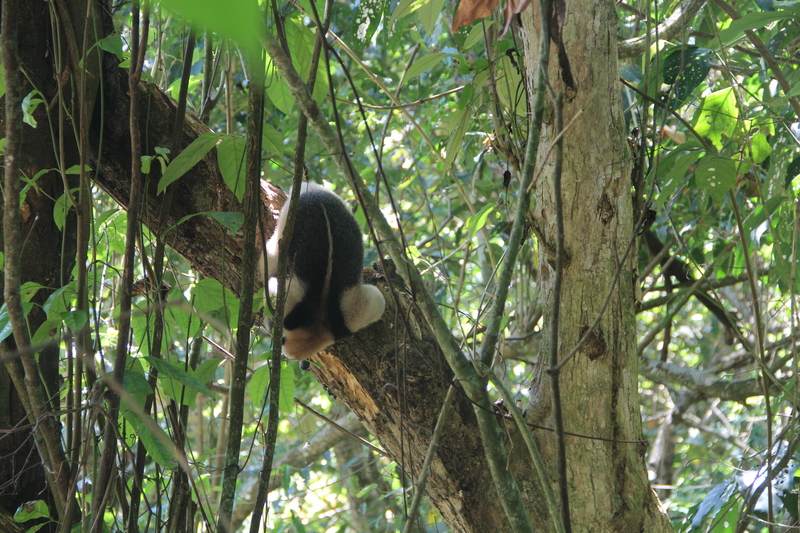 I think literally everyone I met was going to Manuel Antonio. The next most common spot people mentioned was Tortugero. Costa Rica is an amazing place. While I only spent 5 days here, I could easily see so done going from weekend to weekend (9 days). I hope you fou d this post helpful.